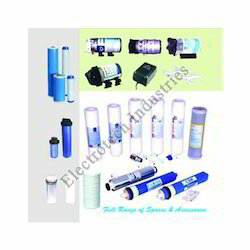 We are leading importers, manufacturers and wholesale suppliers of domestic and commercial RO, UV and UF water purifiers and spares thereof in Delhi. Backed by our in-depth industry expertise, we offer a superior range of RO Spares and Components to our clients. Aiming our Client's gratification, the offered RO Spares & Components are manufactured in compliance with the set industry guidelines and standards. 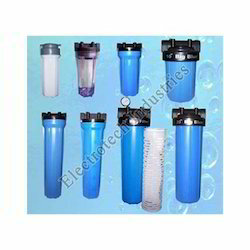 These are widely used in Domestic, Commercial and Industrial sectors for Water purification and highly appreciated for the design, durability and easy installation features. Duly checked over quality and efficiency parameters, the offered products are marked at a nominal pricing. C-Clamps, X- Clamps, L- Plate, Manual RO Brackets and Pre Filter Clamps. 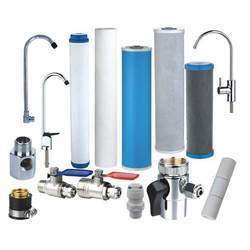 All other accessories like S.V., F.R., LPS, TDS Controller, Float Valves, Inlet Brass fittings, Taps, Stands & Skids, Electrical Wire, Thimble, Sleeves, TDS Meter and electrolyzers etc. are available with best quality and reasonable prices. 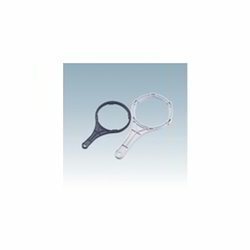 Acclaimed as a leading manufacturer, supplier and trader of Water Purifier Spare Parts, We are indulged in fulfilling the requirements of our customers with an exquisite range of Wrench. 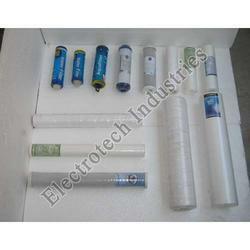 Designed to be used in various water purifiers, the components offered by us in this range have a long functional life. Wrench supplied by us has the capability of withstanding high temperature and pressure. Manufactured using quality raw material, these components are further tested on several parameters before making them available in the market. Owing to quality of our L-Plates, these find widespread application in various domestic, commercial and industrial water purifiers. 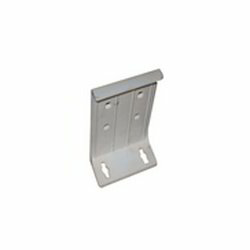 Manufactured employing sophisticated technology and tested raw material, these L-Plates ensure long functional life to the end user. These RO spares and components can be made available to the customers in varied specifications and sizes. Prior to dispatch, our quality controllers check these L-plates on various parameters, following international quality norms. 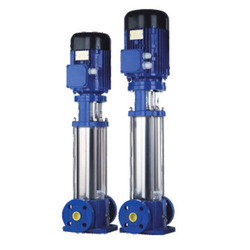 We offer Filter Housing which is manufactured with foodgrade ABS material for use with several types of domestic water purifiers as a prefilter set (Including prefilter housing and connectors).